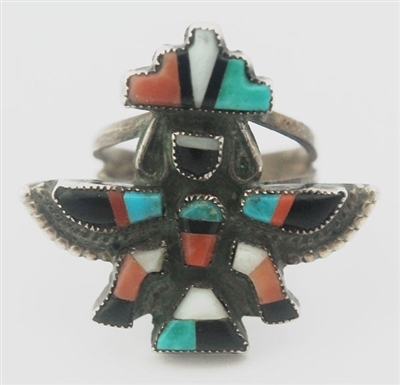 This beautiful ring is hand crafted Zuni work. 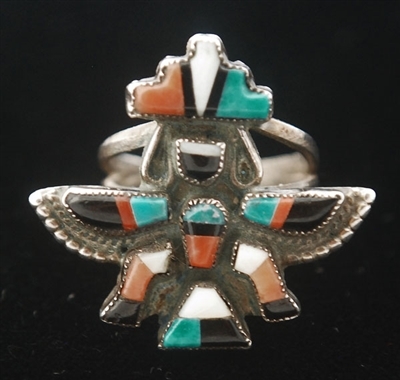 The Zuni artists are known for their outstanding mosaic inlay jewelry. 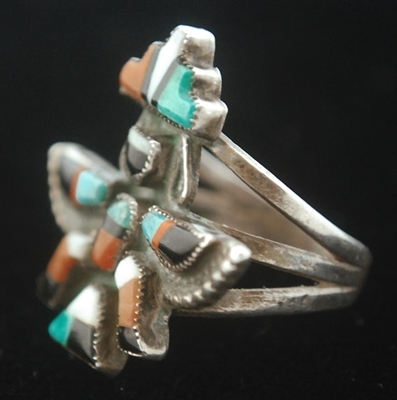 This little 1950's Knifewing is inlaid with natural turquoise, jet, mother of pearl and red abalone shell. Tiny twist wire and silver work frames the wings. Very fine workmanship. The knifewing figure measures, 7/8" long x 1" wide. 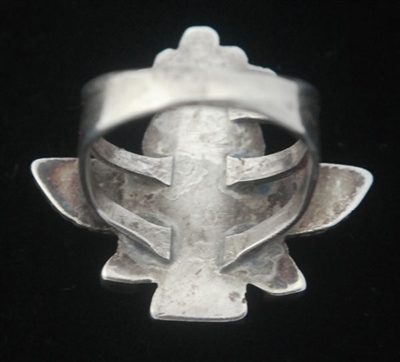 The ring is a size 5 1/4.